When purchasing a new automobile, consumers often have questions regarding fuel-efficiency of diesel engines and hybrid engines. 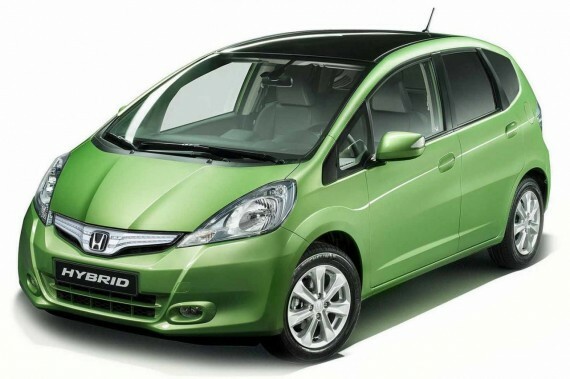 However, there are many factors that must be taken into account when making the hybrid versus diesel comparison. It is frequently surprising for some people to learn that the differences between diesels and hybrids often make one vehicle a better choice over the other, depending on the owner’s driving style. Both diesel and hybrid power trains are easily maintained and offer better fuel economy than gasoline engines; however, that is where most of the similarities end. The word “hybrid” is loosely defined as a vehicle that derives power from two sources. However, the term is also characteristically used to refer to vehicles with gasoline engines and battery-powered electric motors. While it is possible to recharge some of the newer hybrid vehicles by plugging the battery pack into an electrical outlet, most hybrid vehicles use the gasoline engine in conjunction with a procedure referred to as “regenerative braking” to recharge the batteries. Regenerative braking works by converting the kinetic energy produced by applying the brakes into electrical energy, making a hybrid vehicle an excellent choice for the driver who does a lot of stop-and-go driving, such as commuting in and around larger cities. The regenerative-braking battery-charging process increases hybrid fuel efficiency around town by recharging the batteries every time the brakes are applied, keeping the gas engine from engaging when the batteries get low on power. Because of battery technology, hybrid vehicles are also good choices for city drivers who commute short distances. As the battery-powered engine is the main source of power for most hybrids, battery failure will result in the vehicle being immobilized. While battery failure is not likely to occur in the first 150,000 miles, drivers who travel long distances could face expensive battery replacement, costing several thousand dollars, every few years. Conversely, city drivers who don’t drive more than 12,000 miles a year may not have to replace the batteries over the life span of the vehicle. Alternatively, a diesel-powered vehicle will produce better fuel economy during highway driving. Vehicles with diesel engines are more analogous to traditional gasoline-powered cars. While there are significant differences in engine design, drivers who chooses diesel-powered vehicles won’t notice many dissimilarities between the way a gasoline and a diesel-powered vehicle preforms, except at the gas pump. Diesel fuel is a little pricier than gasoline, but the extra cost is more than offset by the increase in fuel efficiency over that of gas engines. The increased efficiency of a diesel vehicle is due to the engine maintaining a lower operating speed than a gasoline engine, resulting in the diesel consuming less fuel. This results in mildly improved fuel economy during city driving, but greatly increased efficiency at highway speeds. For example, a diesel-based vehicle may get a few more miles per gallon in town than a similar gasoline-powered vehicle, which alone is nothing to sneeze at, but the diesel will generate 15 to 20 more miles per gallon on the highway than the gasoline-powered vehicle. Because the diesel-powered vehicle will continue to increase savings as more miles are driven, the diesel is a significantly better choice for commuters who do most of their driving on the highway. Diesel vehicles also save on maintenance costs, requiring less general upkeep than gasoline-powered engines as diesels don’t use spark plugs, so don’t need tune-ups as often. Overall, both hybrid and diesel engines will likely cut down on the trips to the pump. However, depending on the kind of driving and commuting, one engine type will offer more long-term benefits than the other. In a nutshell, those who do more city driving have more to gain from the hybrid engine and long-range drivers will benefit more from a diesel.